Sheety Skin? These 10 Sheet Masks Will Sort You Out! Holy sheet, there are so many options! If you think that face sheet masks are only good for the ladies, then think again. There are many different sheet mask variations to suit various skin types or skin problems available in the market today, without the gender bias! Here are a list of sheet masks for any skin type or problem. This Naruko Mask is an activated carbon mask, soaked in active ingredients meant to fight acne, and for oil control. Two of the main ingredients are salicylic acid and tea tree oil, which are known to help with acne prevention. If you're looking for something short-term to help with the acne that suddenly appears out of nowhere, try this Naruko mask out for some relief. Dr. Jart+ is an internationally-recognized Korean brand, available in 46 countries. This Dermask is one of the best masks for dry skin. 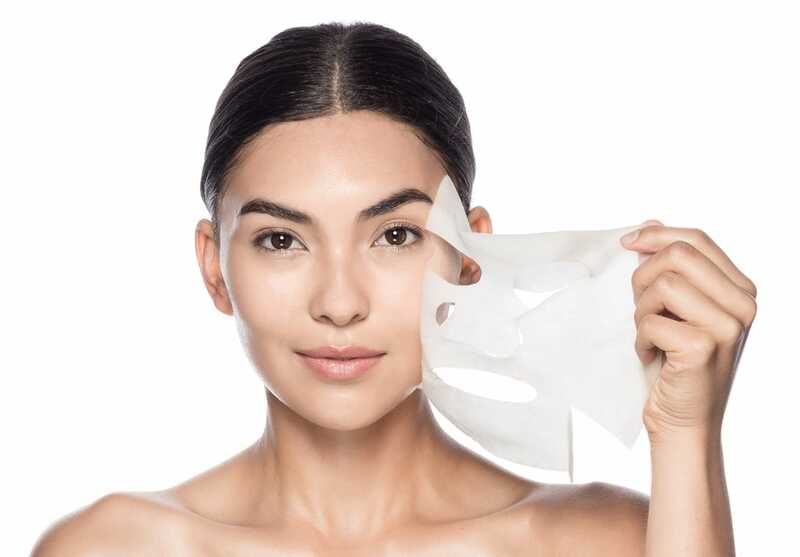 The fine cellulose fiber sheet mask is soaked with hydrating ingredients, allowing the pores to fully absorb the nutrients. Two of the main hydrating ingredients are hyaluronic acid and aquaxyl, which hydrate dry skin and enhance moisture retention while strengthening barrier function. As such, this Dermask is amazing for dry skin, to enhance hydration. Klairs Rich Moist Mask is suitable for people who suffer from redness, or sensitive skin. This mask is alcohol-free and won't further inflame the already-irritated skin. Additionally, the mask is soaked in a generous dose of soothing botanical extracts -- centella asiatica extract, rose water, and aloe. Not only will this mask soothe the redness, it'll hydrate the skin, and leave it feeling fresh. This Vita C mask is suitable for normal skin types. It's also a brightening sheet mask, containing vitamin C which brightens dull skin. If you're looking for something to perk up that dull skin, why not try this sheet mask? Glamglow’s unique oxygenating deep cleanse masks create carbonated fizzy foam, which removes dirt, excess oil and makeup build-up. On top of that, this mask helps with any clogged or large pores, removing the dirt or excess oil, and leaving a clean skin. This Innisfree sheet mask contains peptide and adenosine, ingredients known to help with revitalizing and firming the skin. If you're looking for skin-firming or wrinkle-reducing products, try this sheet mask to see the difference. This mask is soaked in organic ingredients, including naturally fermented rice, and black soybean. These ingredients help with hydration and revitalization of the skin and are said to improve the skin’s elasticity and firmness. If you're enthusiastic about organic ingredients, try this mask. If a luxurious sheet mask is what you're looking for, look no further. This mask is infused with caviar extracts and rose gold flakes which helps moisturize the skin from within. The mask will leave you with radiant and supple skin in just one use! If you're looking for an organic sheet mask, this one is perfect. It's certified 100% organic; made of cotton, without any bleaching treatments. Among the ingredients that the sheet mask is soaked in are calendula water and hyaluronic acid. These help soothe the skin and increases moisture. This is definitely the mask to opt for if you're into organic products, and it's suitable for combination skin. Sometimes, sheet masks are a nightmare because of how wet and heavy they can be. If you can relate to this, try this! The Make p:rem Comfort Me Air Mask that is so light that you'll forget it's on. This sheet mask is soaked with calming ingredients like chamomile extract and Nordic berry extract, famous for their healing properties. This makes this sheet mask suitable for dry and sensitive skin, as it helps retain moisture and reduce irritation.